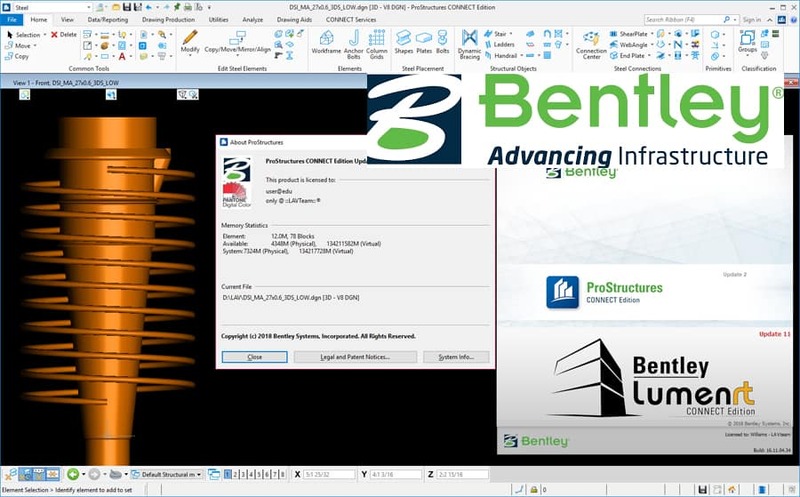 Bentley ProStructures is designed for the detailed design and manufacture of metal and reinforced concrete structures. Bentley ProStructures products include ProSteel and ProConcrete. Both programs are designed for three-dimensional modeling of structures when performing construction and planning tasks. ProSteel provides detailing of products made of structural steel and metal, and ProConcrete provides detailing and scheduling the reinforcement of monolithic / precast and prestressed concrete structures. ProStructures products enable engineers to reduce the time to create documentation, help them avoid project errors and omissions, and ensure the design and documentation of combined structures.